Yokohama—Nissan has come up with a demonstration house that shows how electric vehicles can help provide power for a home’s energy needs. Located in the Nissan Global Headquarters Gallery in Yokohama, the demonstration house features solar panels and a Nissan LEAF electric car that provides power from its battery pack. 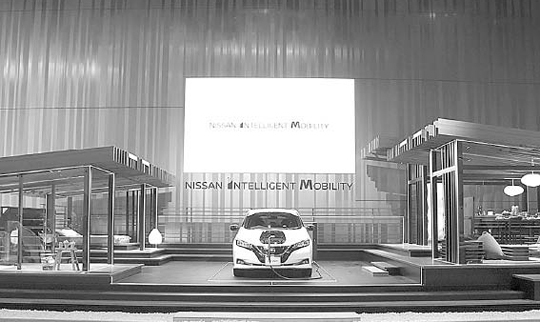 The Nissan Energy Home allows guests to learn about Nissan Energy, the company’s vision for connecting homes, cars and power grids, which was announced recently.